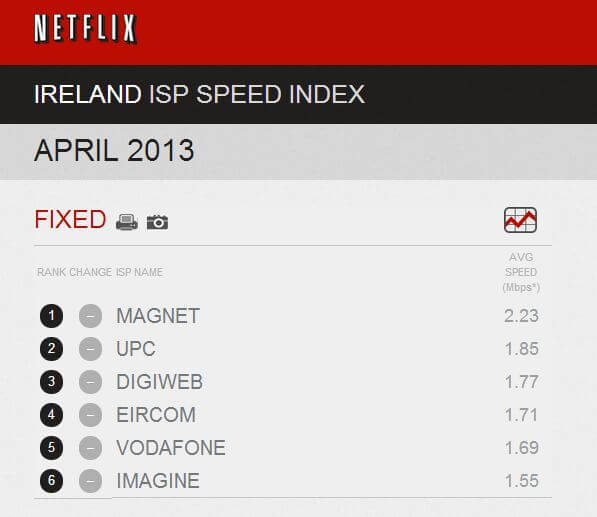 Magnet has once again ranked as the fastest ISP in Ireland according to Netflix for April 2013. This is the 3rd consecutive month that Magnet has been placed number one ahead all other competitors like UPC, Eircom & Vodafone. As part of Netflix’s continued growth in Ireland they have promised to release a monthly index on each country’s speed index which allows their customers to choose the provider that can offer them the fastest and highest quality viewing experience.